Gold Woman is the ultimate testament to fine perfumery. Facing unreasonable melancholia, perhaps due to my disappointment over recent fragrant releases, I scrambled over to what I describe as a perfect fragrance; smelling it as a means to gauge the nose. Angelically, upon first sniff of Gold Woman joyous memories of art and perfume shaped in my mind. “This is why I like perfume”. I then considered the fact that there are certain fragrances in existence that achieve universal adornment. Answering why this is the case is a puzzle to me and for all, because if we knew such a thing, all perfume releases would therefore by default be perfect ‘5 out of 5’ fragrances. Let me get back to you on an answer. When writing about Gold Woman a similar thought experiment is drawn by many bloggers and writers: One pictures the most beautiful item – let’s say, for example, a suit. This suit at first glance recalls an older era of decadence decades departed. The fit is perfect; the shape, sublime. The problem? Notice the slight flare at the cuff, the gaudy pattern, and the wing-like lapels. You might love it – heck, let’s pretend you own it too. But when would you wear it? People might stare. They might gawk. It’s like wearing a tuxedo to a boxing match! With Gold Woman, you might look the best in the room, but your attitude towards conforming (albeit, lack of!) is even better! I’ve probably said it before – but I’ll take it all back – Gold Woman is the most lavish perfume ever. This was created by Guy Robert, a perfume legend known for Caleche, Doblis, and Madame Rochas. How it came about is simple. Oman regality decided to return the glory back to Oman, and Amouage was born from a member of the royal family with the intention of restoring perfuming tradition. 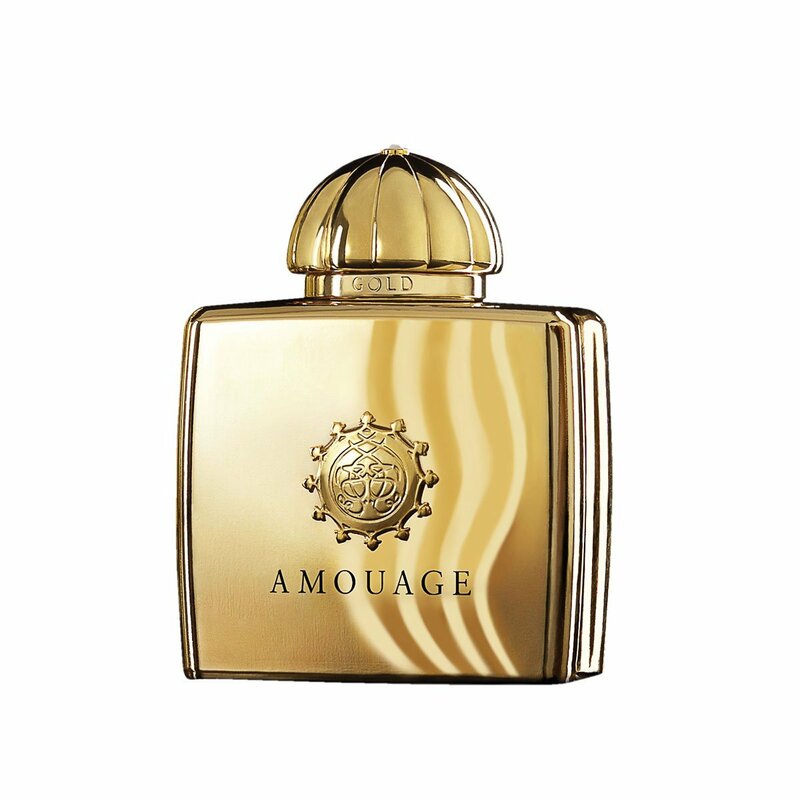 Here, money proves to be all powerful as Amouage approached Robert and allowed him to do put whatever was required into this perfume, regardless of cost. For each respective ingredient (say, rose) the best is found in Gold Woman. Amouage had the intention to make a perfume rooted in their heritage, featuring typical Omani oriental ingredients tweaked with a bit of a classical French style (via Robert) – The Middle East meets French style. This would be, given the freedom, Robert’s magnum opus. I am wary of anyone wearing Gold Woman (or Gold Man). It seems scarily too rounded and lavish. I wouldn’t go as far to say that this is a museum piece, because this is a timeless perfume; an eternally formal fragrance. Gold Woman smells like the people that commissioned its creation – the rich and the royal. On first spritz one is greeted with the biggest floral bouquet imaginable, a huuuuge floral, fiercely fifty floors high. The rose, maguet, and jasmine form an amalgamated floral accord, balanced to perfection. This is combined with a nod to the French – civet – to create a perfume romantically palpable … An instantly classic oriental chypre composition that balances indolic notes and potency masterfully against a backdrop of aldehydes adding sparkle. Gold Woman departs on the decadence scale by evoking a sense of voyage. Going against the traditional French structure, refined Omani silver frankincense adds a textural potency. Here the fragrance morphs imperceptibly, layers upon layers of perfected structure. The subtle magic comes from the incense and the resins, and in their absence I question Gold Woman’s prowess. The luminescence of the aldehydes are dampened accordingly, the civet tempered, and the florals kept in check. As the dryness of incense and the stickiness of the resins continue (as a sort of control measure) the fragrance blooms further, with a fine trail of dry powder (orris root and musks) which are spiced as the incense mimics this feature. Here we have edgy oscillations bound superlatively as more and more notes becomes prominent. Ambergris, myrrh, and woods creep up whilst the florals continue to sing a perfect chord on the skin – rising and falling, rising and falling. The balsamic, loaded, and thundering work that is Gold Woman makes me question why I don’t own a bottle – but I realise that I could never wear this with the respect it deserves. I am not perfect, but Gold Woman is. Gold Woman will defy ever-changing tastes and attitudes. Marvellously, it is at once antiquated yet totally time defying. I am not worthy. This entry was posted in Amouage and tagged Amouage, Fragrance, Gold, Guy Robert, Perfume, Review, Woman. Bookmark the permalink.